Police have been granted an extra 36 hours to question two men about the murder of James McDonagh. 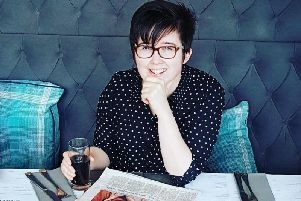 The 28-year-old, from Castledawson, died yesterday afternoon following an assault in the early hours of Sunday morning at the Elk Nightclub. A detective sergeant from the serious crime branch told Derry Magistrates Court that police needed further time to question the 53-year-old and 24-year-old. He said the investigation is at a very early stage and police need to interview further witnesses, conduct further forensic examinations and view CCTV. The also told the court a post mortem will be carried out on Mr McDonagh later today. The officer confirmed that one man has been released on bail pending further enquiries and a fourth man has been arrested. Defence solicitor Paddy McGurk accused the police of ‘going on somewhat of a fishing expedition’ and there is no reason to differentiate between his client’s and the man released in police bail. He added that ‘not one iota of evidence has been put to them since their incarceration’. Mr McGurk said his client’s have never been in trouble before and are ‘respectable people with working lives’. However, the investigating officer said police believe the two men currently in custody are ‘central to the whole investigation and altercation which led to this man’s death’. District Judge Barney McElholm granted the application and said he was satisfied that police ‘are not on a fishing expedition’ as there are still matters that have to be put to them. Police now have until 23:30 on January 13 to question the two men.